There was not enough space on either side of the bed for table lamps or sconces to provide light for reading. 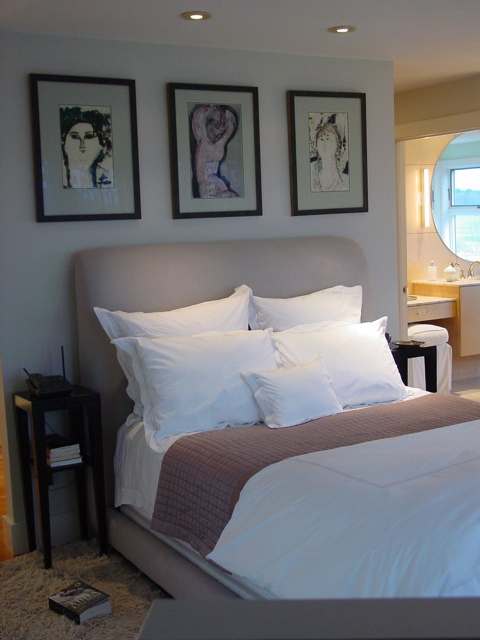 I placed recessed pinpoint fixtures directly over the pillows, 24″ from the wall. With the new technology of LEDs, which last 50,000 hours, narrow spots will place the light directly over your book and you won’t need to worry about changing a “dead light bulb”.